The only frame recommended for the heaviest swings. Recommended for gentle swinging within the A of the frame. Maximum Weight Limit 280 lb. Swing not included. FLO-COAT STEEL Unlike paint, our rust prevention layer does not chip or flake. Unlike wood, our steel does not creak, groan, swell, crack or splinter. SUPERGLIDE Our SuperGlide bearings come as standard, meaning Brave swings swing longer and easier than any other; it's like taking the brake off. 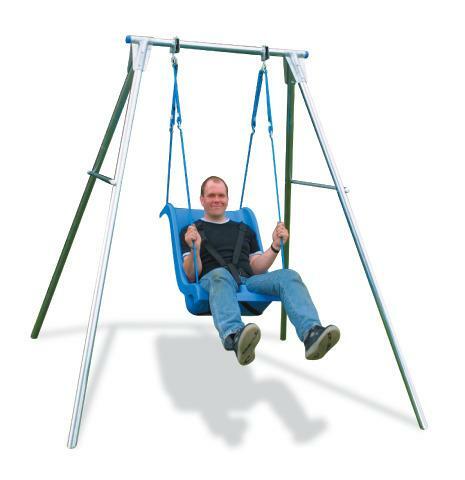 Dimensions: H: 91" x W: 85" x D: 97"
Flawless service and very happy with the swing and seat. Perfect for my girls highly recommend this item. Fantastic, our daughter loves her swing. Excellent quality. Great for my adult daughter. Easy to install. Excellent customer service. Top quality galvanised steel. This company is great. They are extremely knowledgeable of their products and are pro customer satisfaction!! 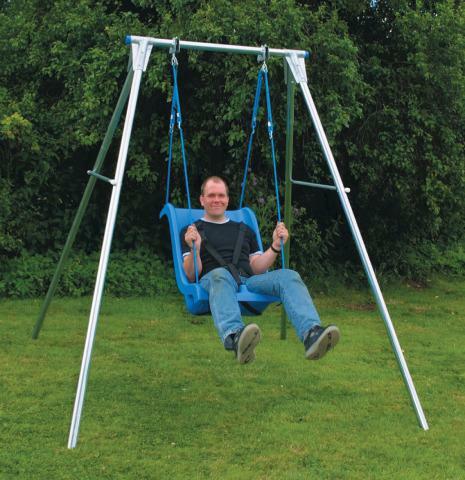 It's of fantastic quality very sturdy, we brought alongside the nest swing, i have one very happy son, worth every penny. The staff also very helpful,friendly and informative. Really sturdy and safe. Fits nicely into a fairly small garden and doesn't look out of place. It's very sturdy and works great. My son loves it. Brilliant we bought the swing in spring and our granddaughter has used it every day becoming more and more confident each day she now takes a run at it and leaps on which get it swinging straight away.She has ASD and will not get onto a sit up style swing.